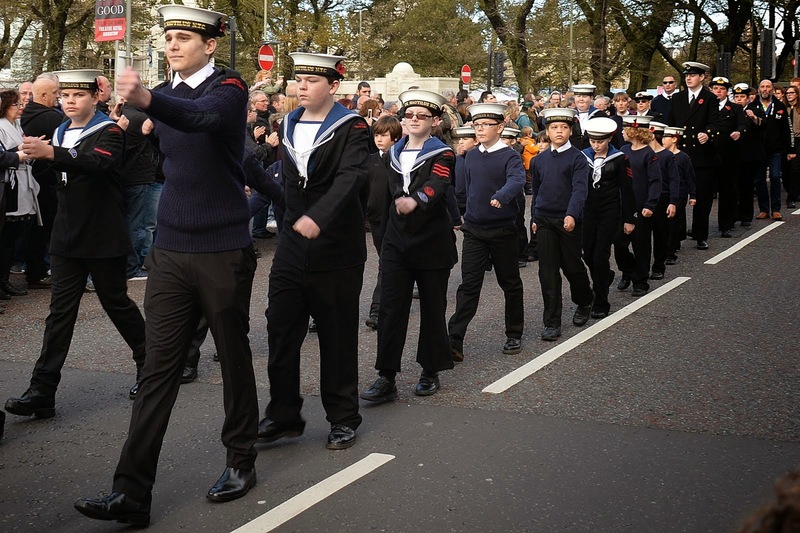 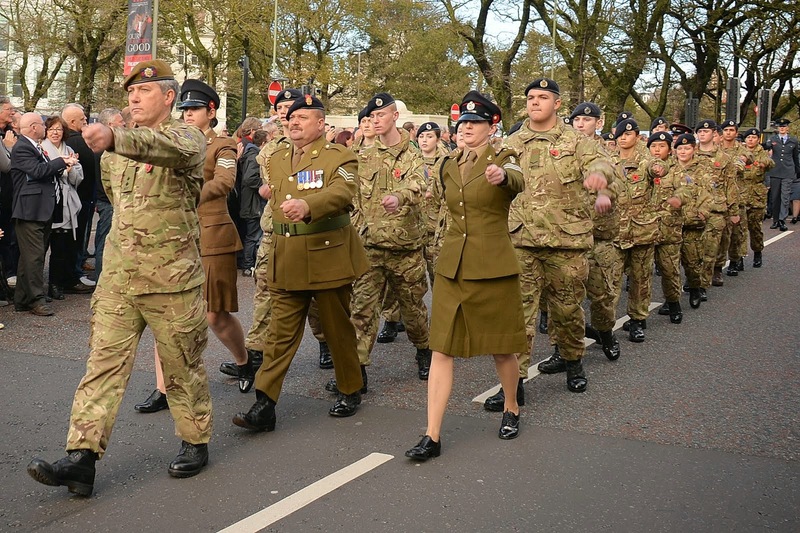 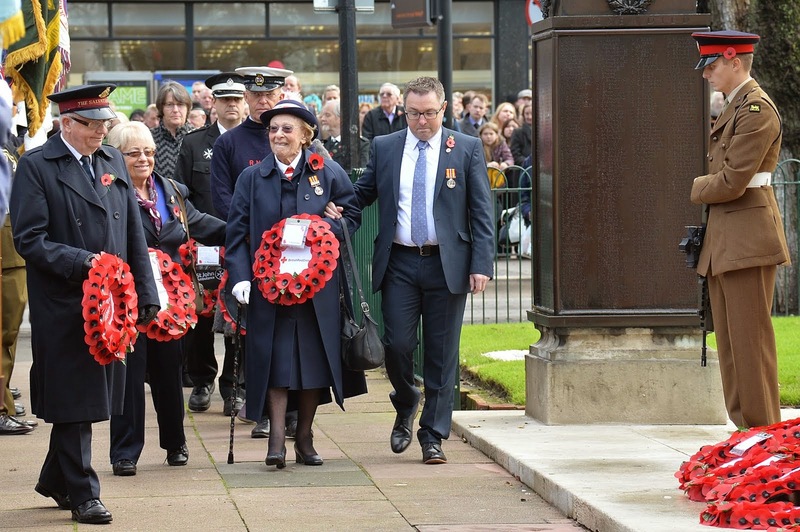 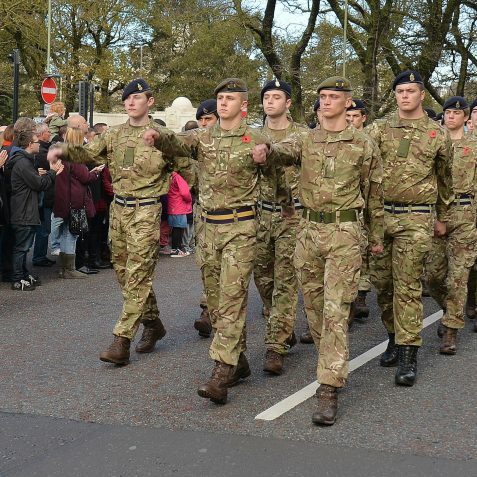 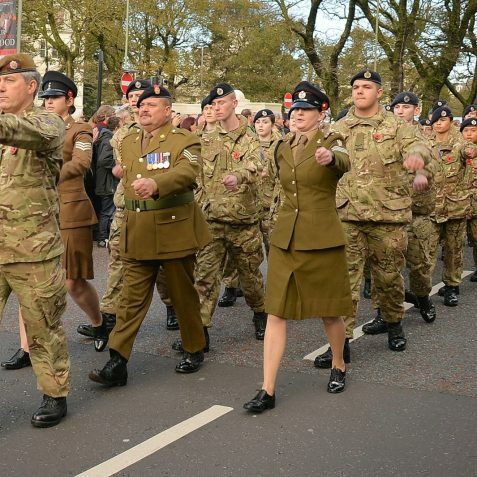 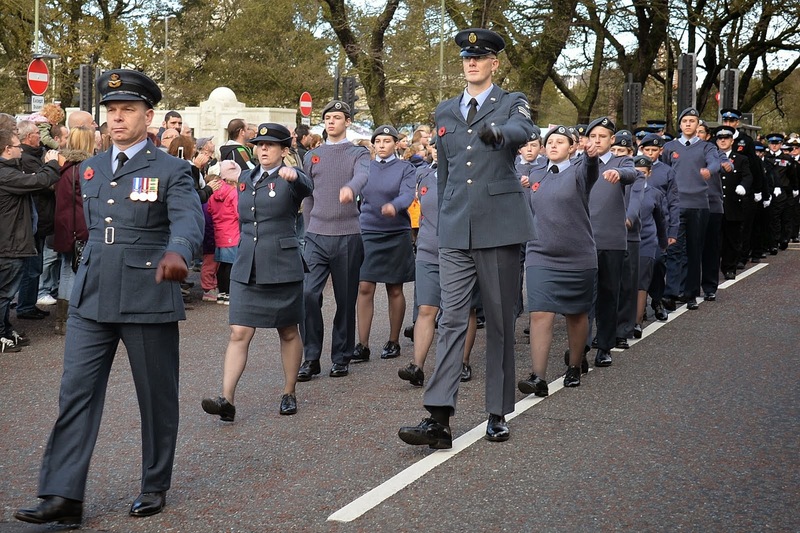 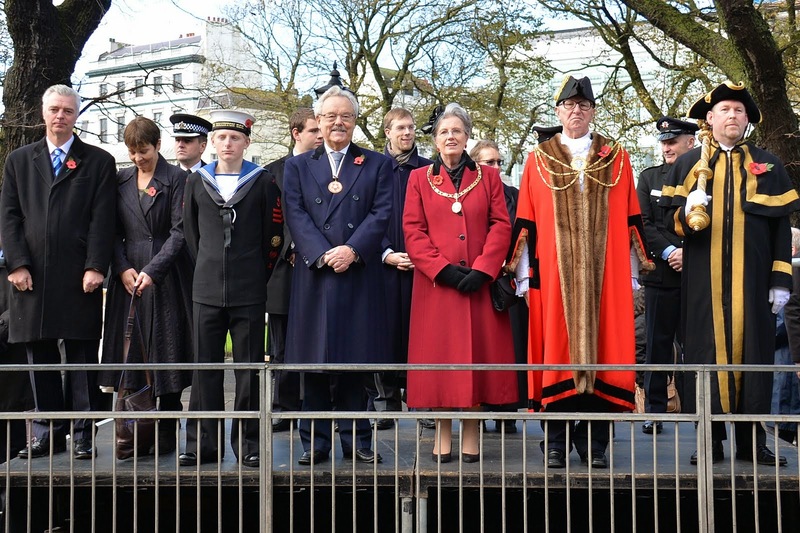 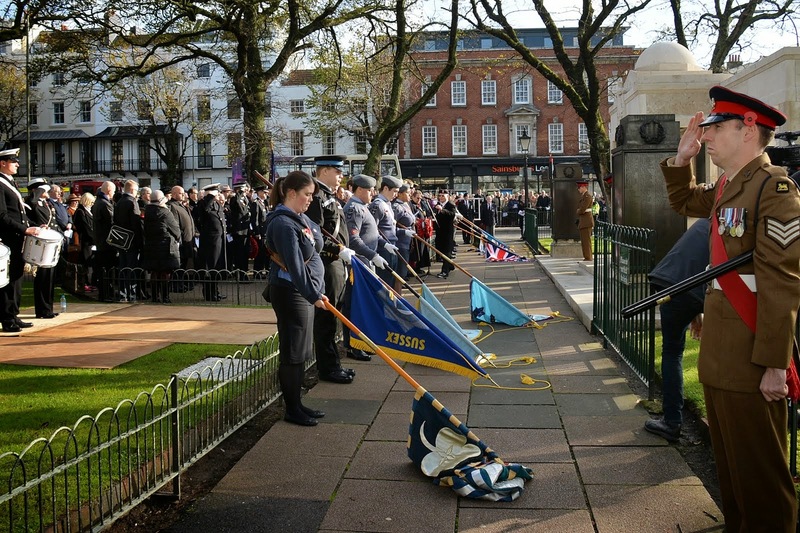 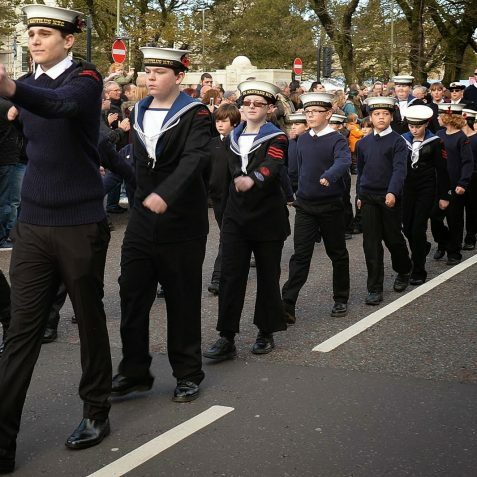 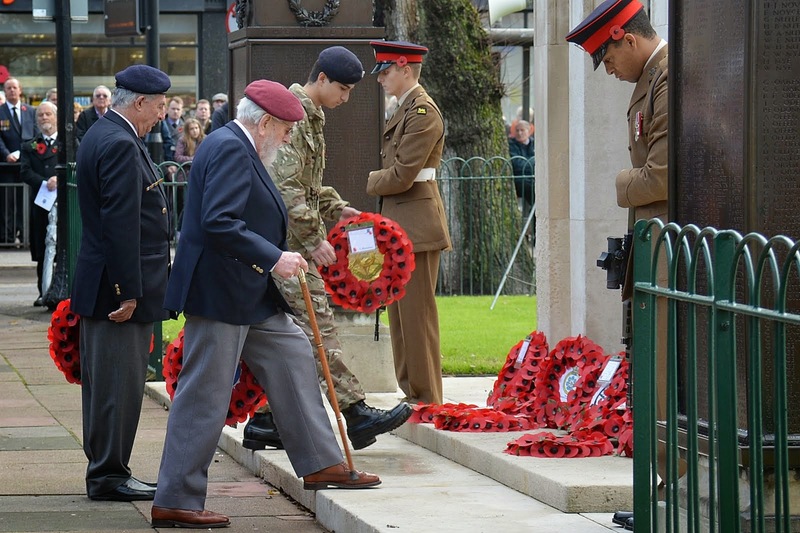 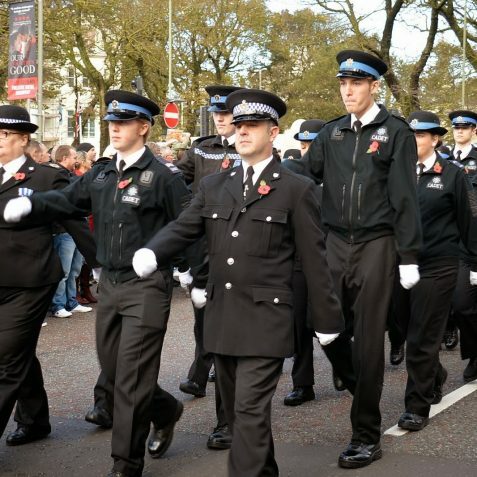 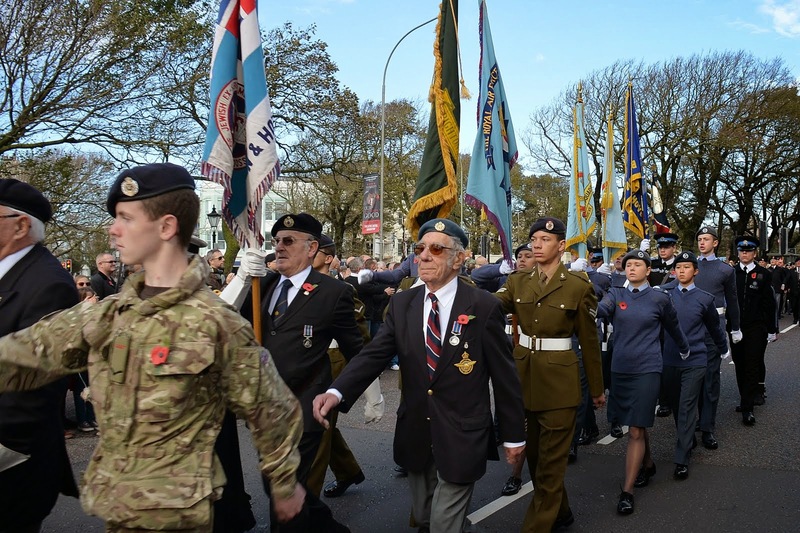 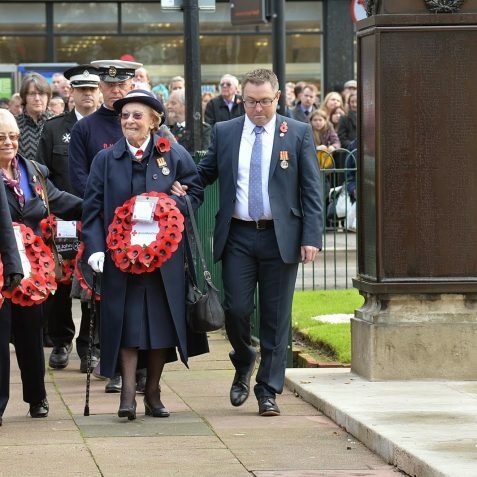 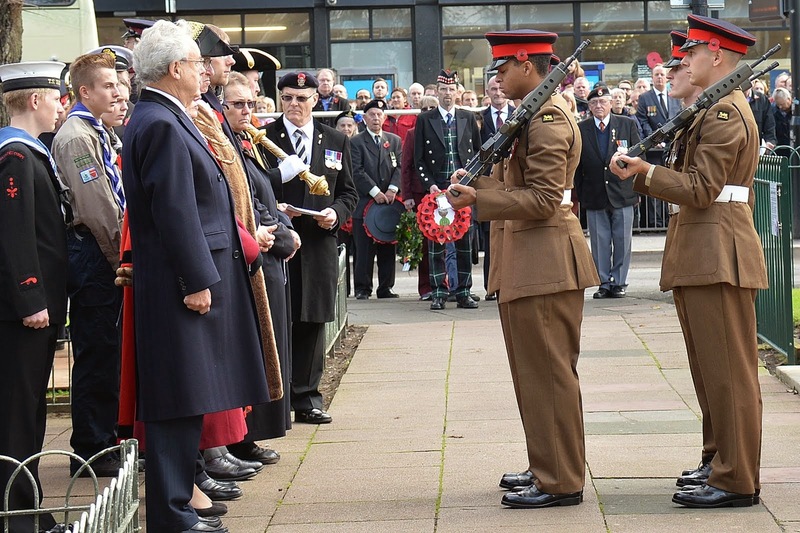 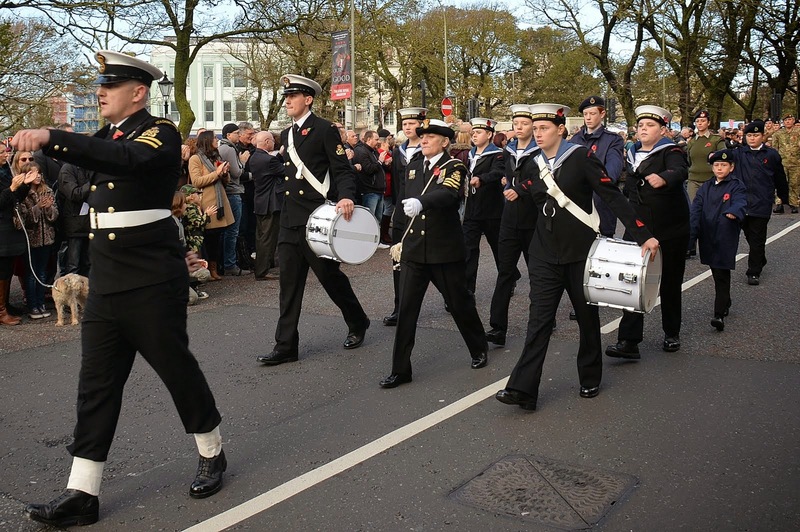 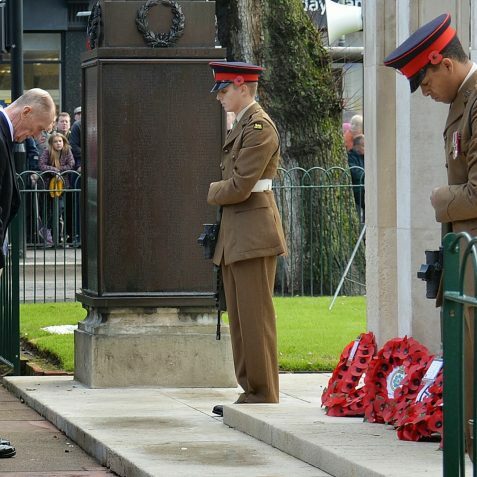 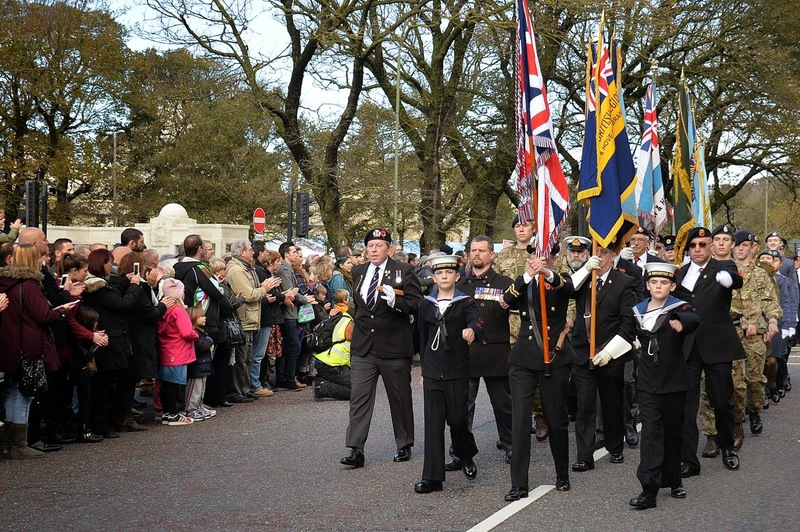 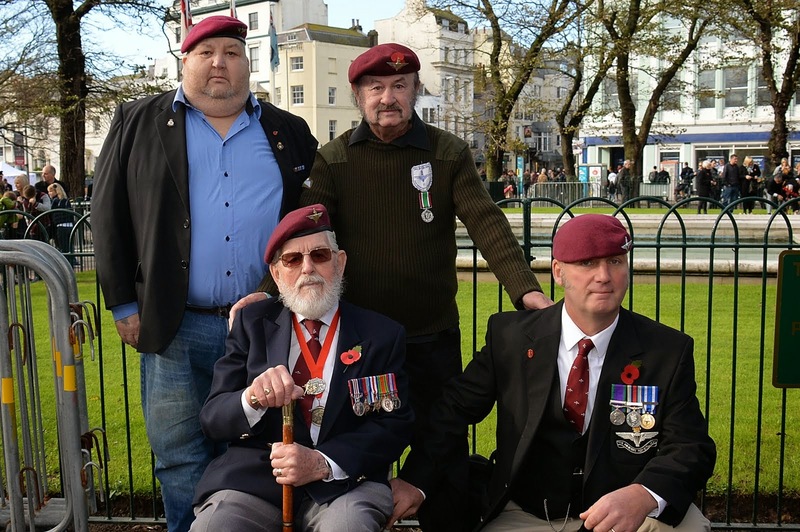 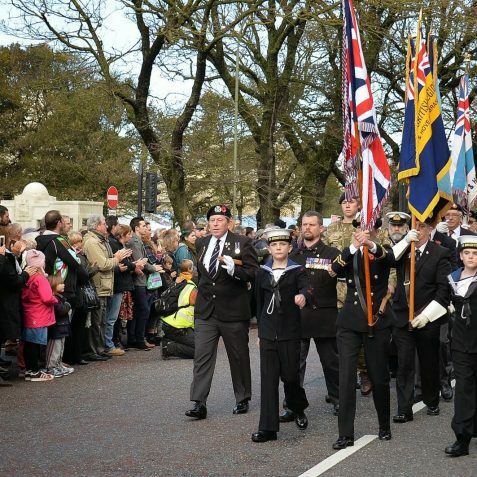 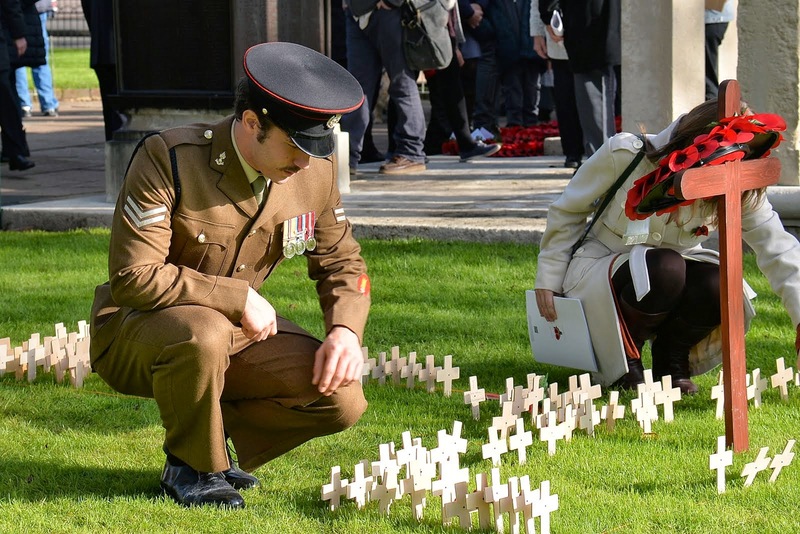 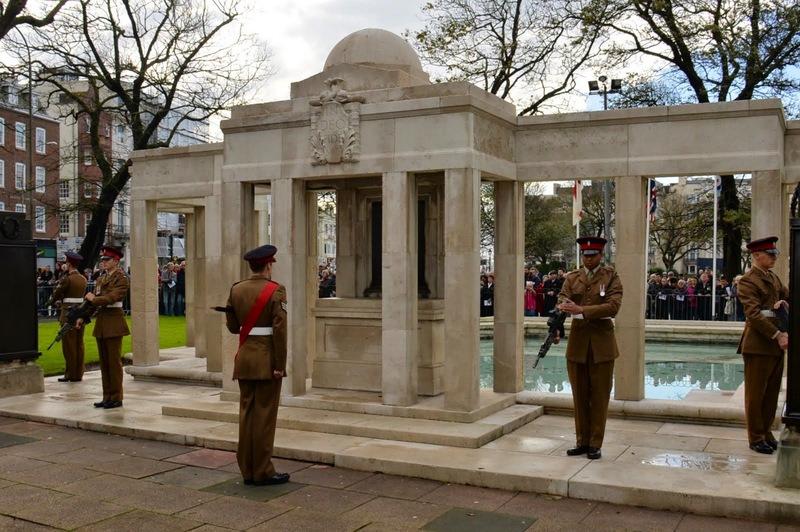 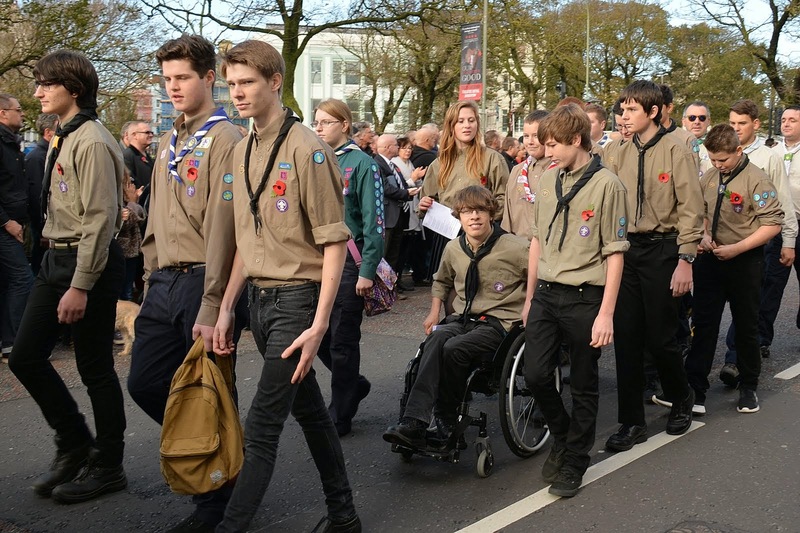 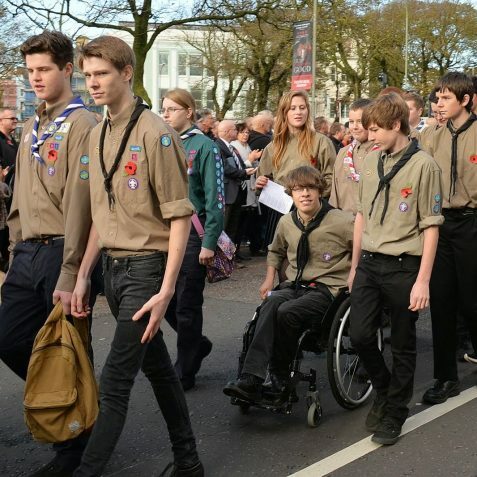 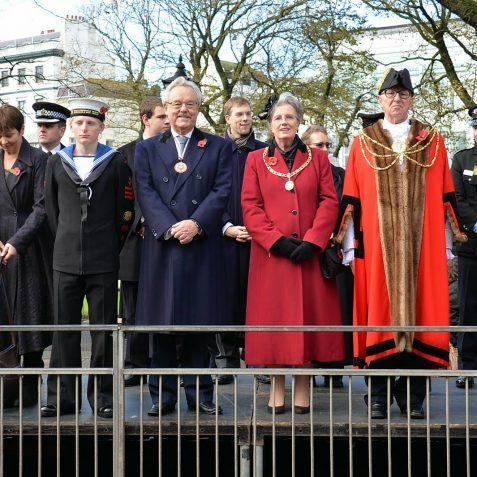 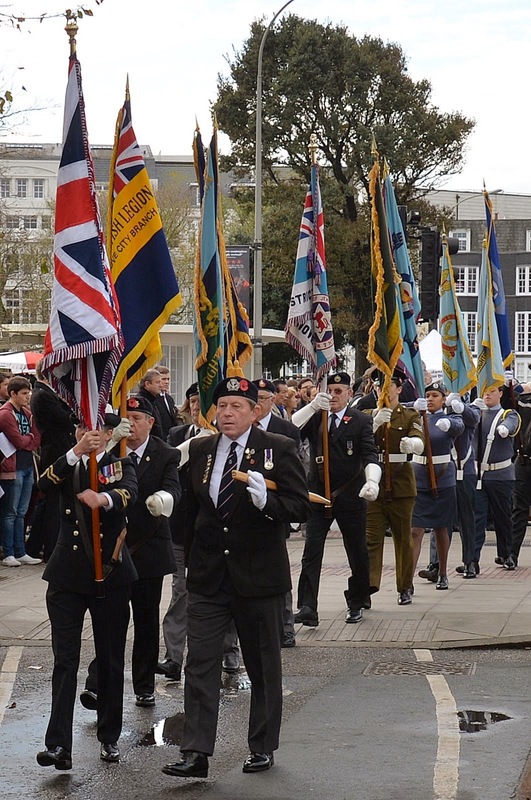 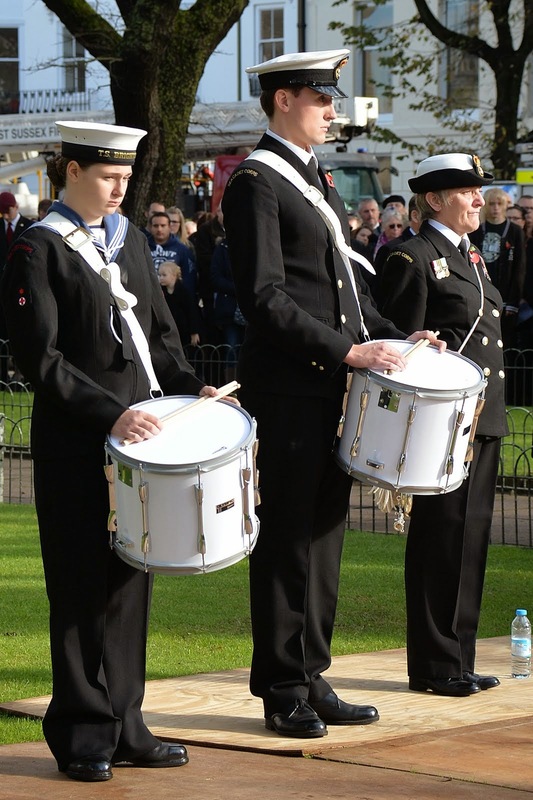 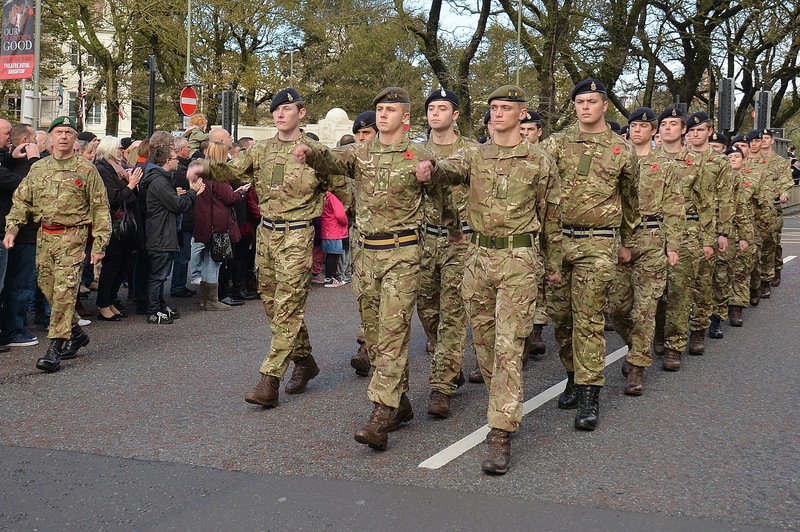 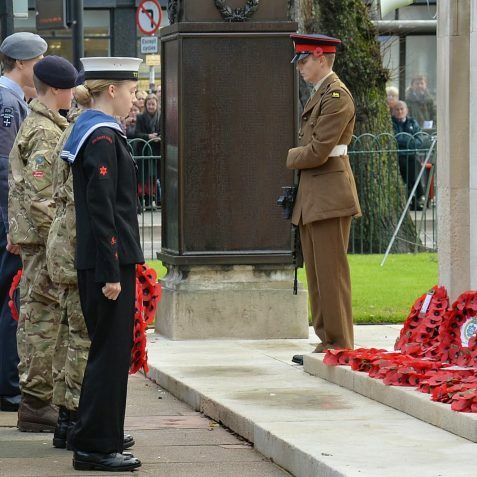 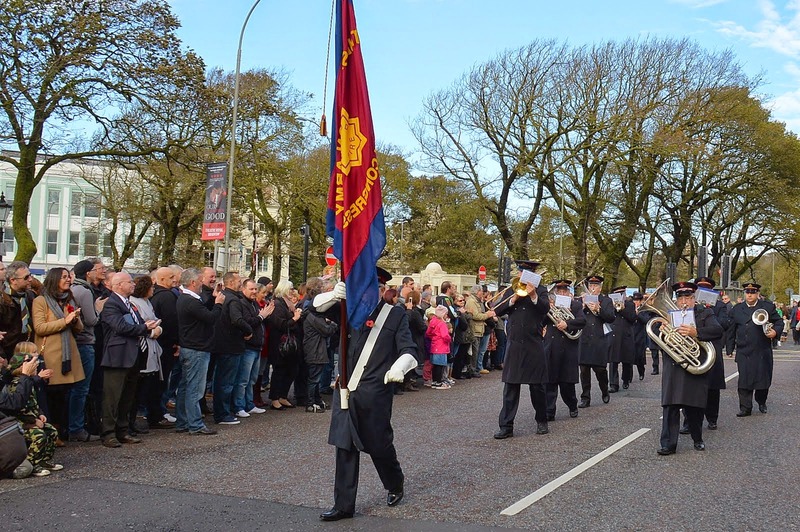 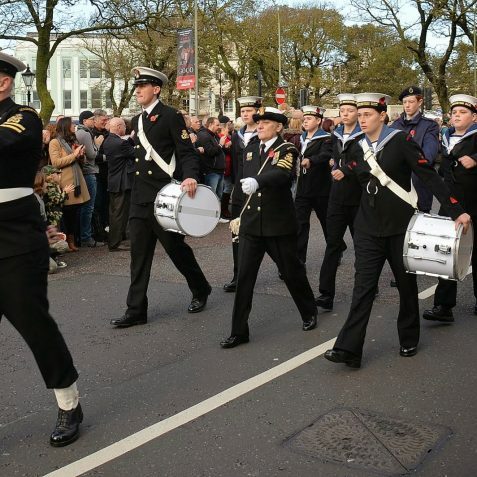 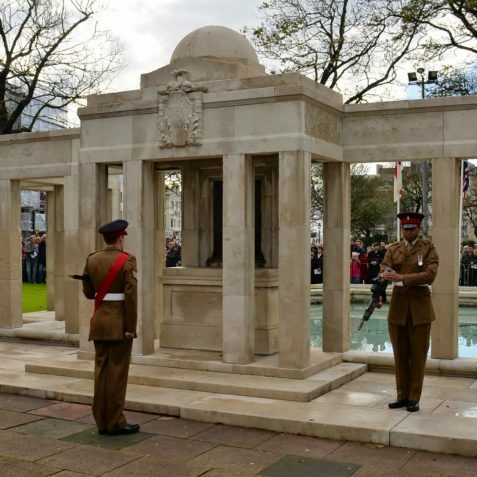 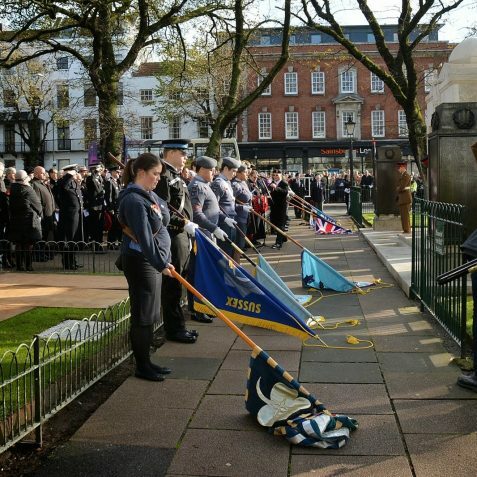 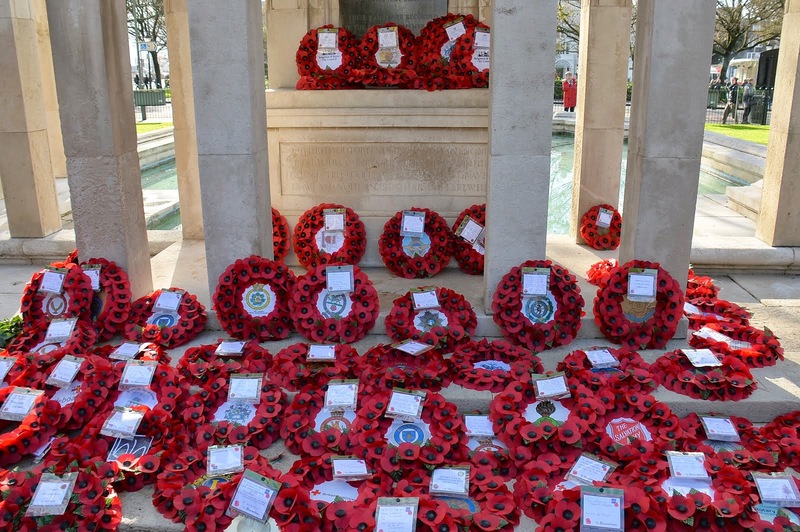 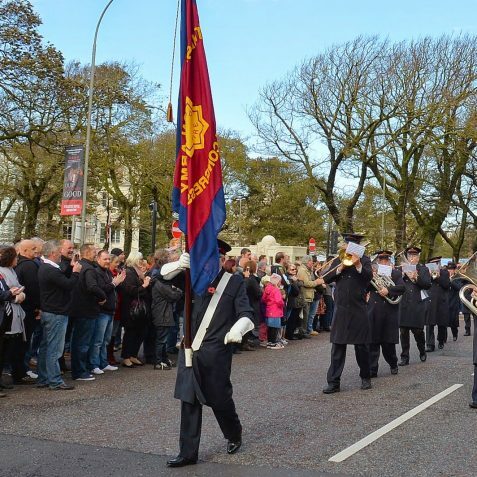 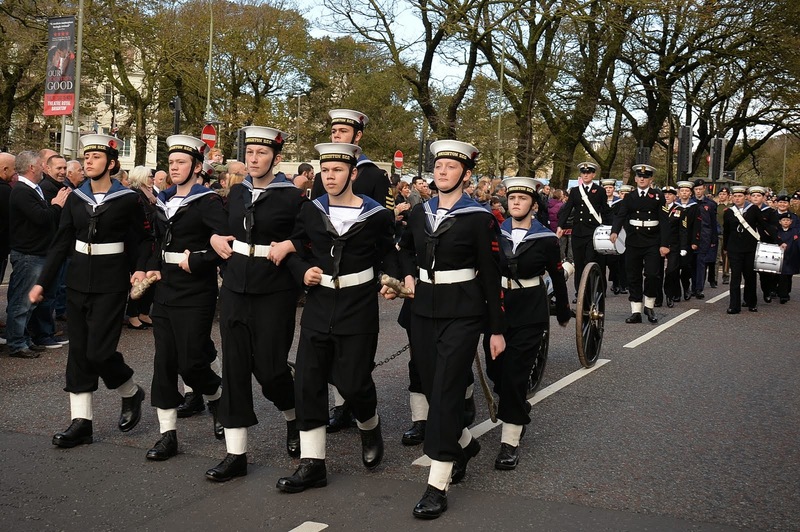 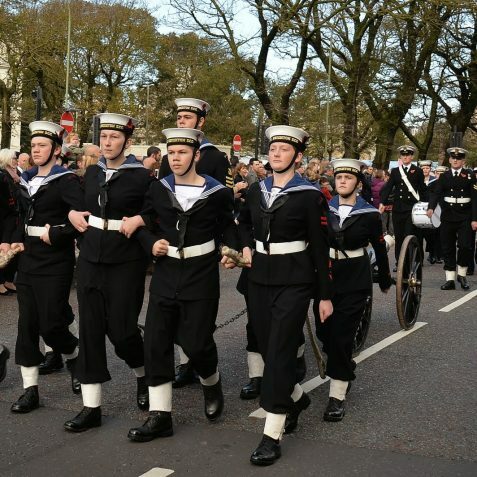 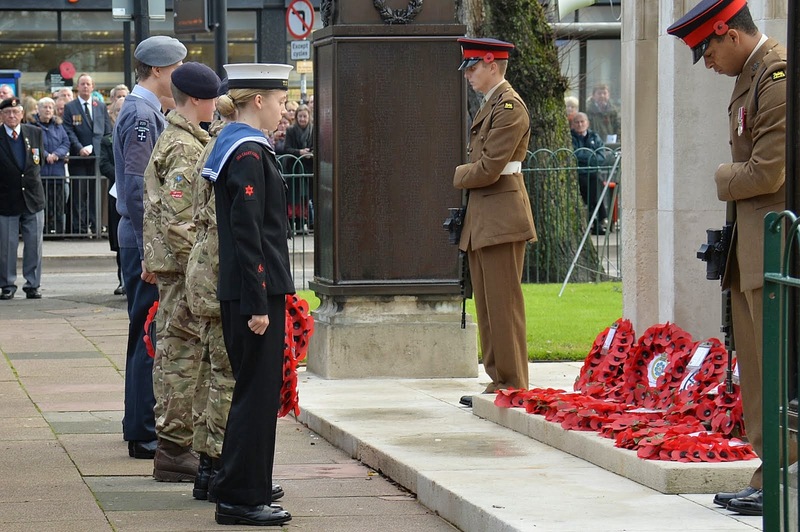 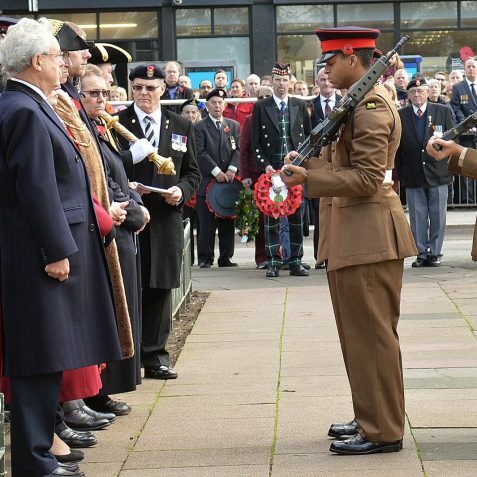 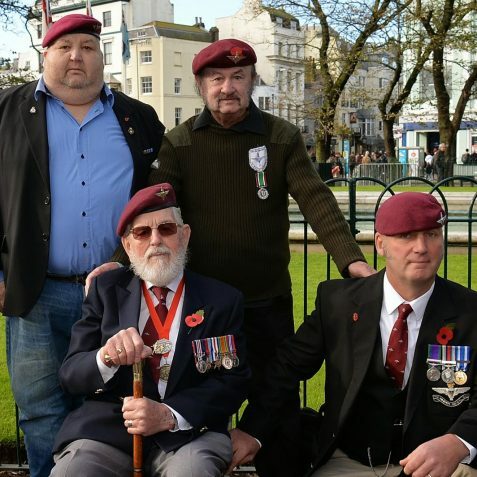 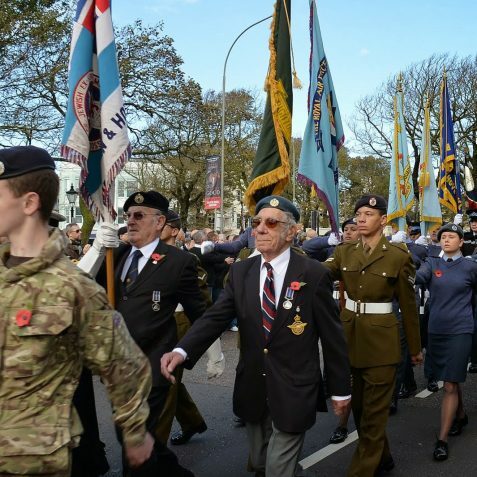 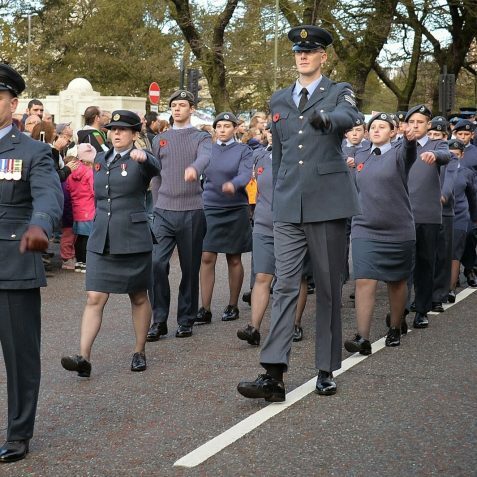 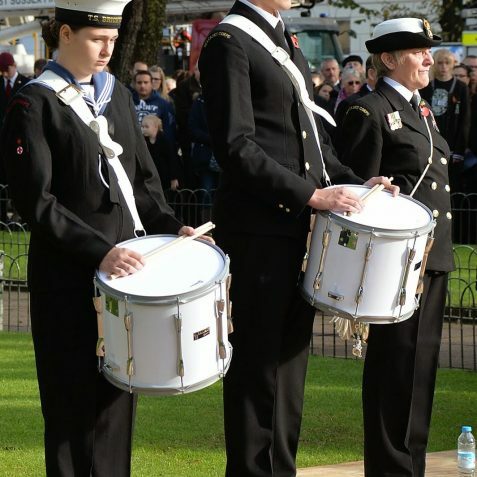 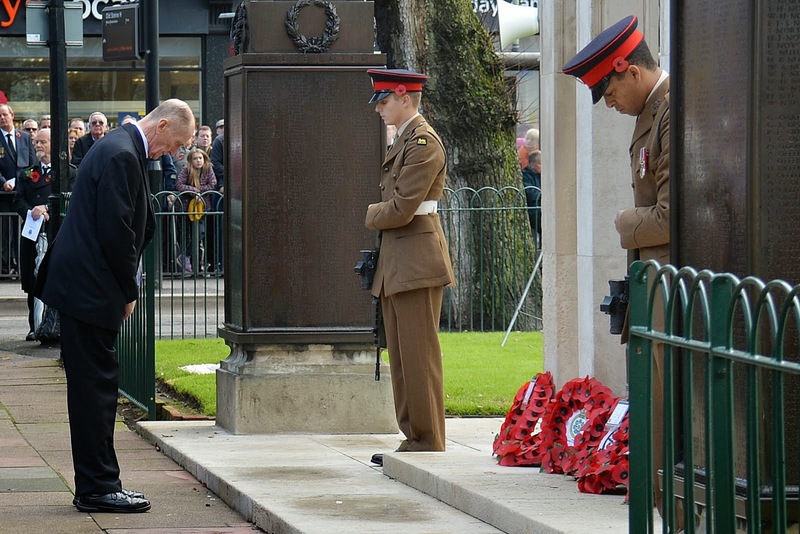 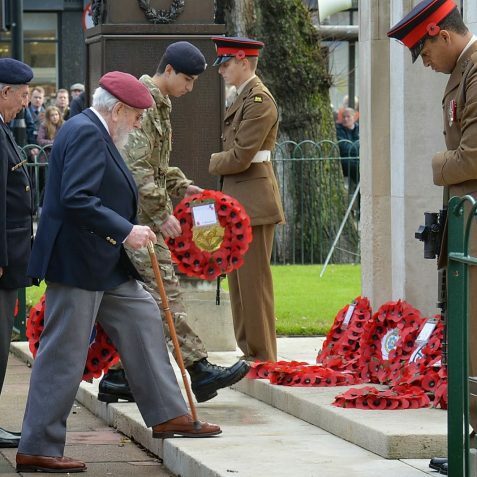 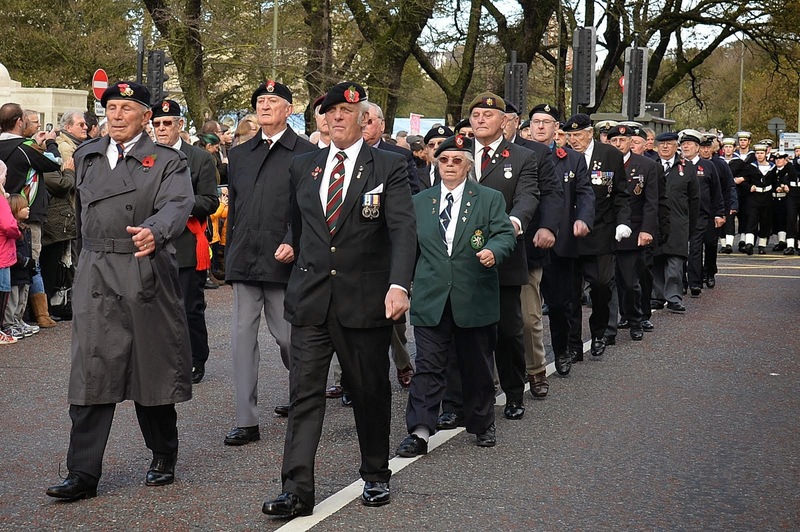 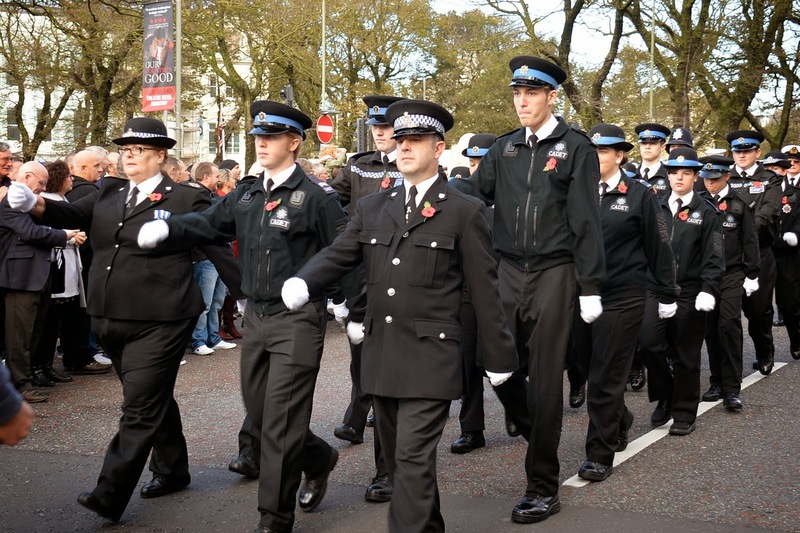 Hundreds turned out today in the city, thinking that they would have to brave the wet weather to pay their respects on Remembrance Sunday, for lives lost in conflicts all over the world. 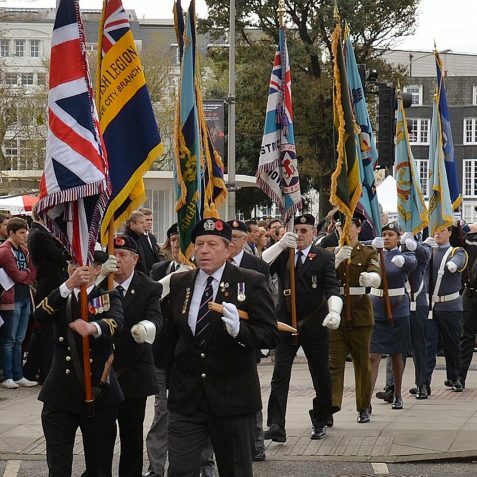 People of all ages had converged on the Old Steine War Memorial in this centenary year of the start of The Great War 1914-1918. 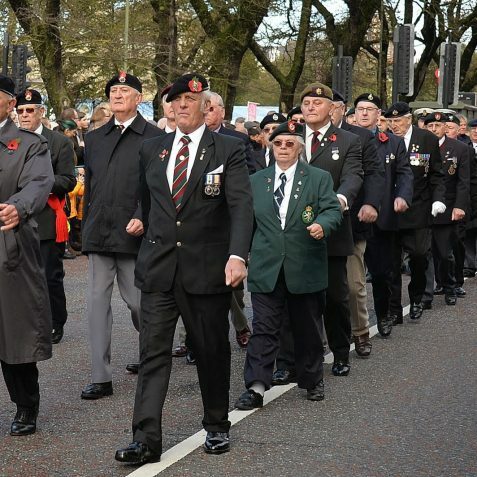 But just before 11am the threatening rain clouds dispersed, the sun came out, and the city centre was transformed. 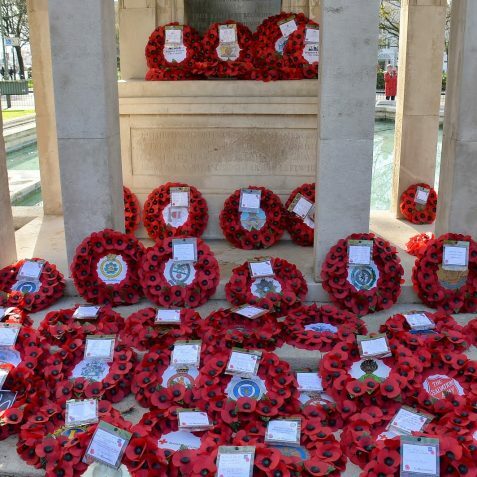 Probably the most famous and widely read war poem in English and also known, in extract form, as the Ode of Remembrance, For the Fallen was first published in The Times on September 21 1914, just a few weeks after the First World War began on July 28 that year.